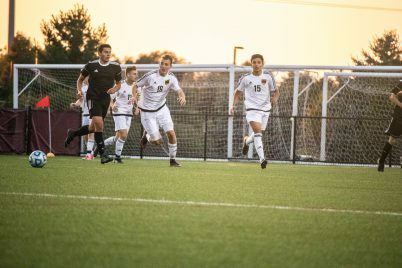 The "Unofficial" Official CMU Men's Soccer Team | Grand Central Magazine | Your Campus. Your Story. Central Michigan University athletics is home to McGuirk Arena, Theunissen Stadium and Kelly Shorts Stadium. 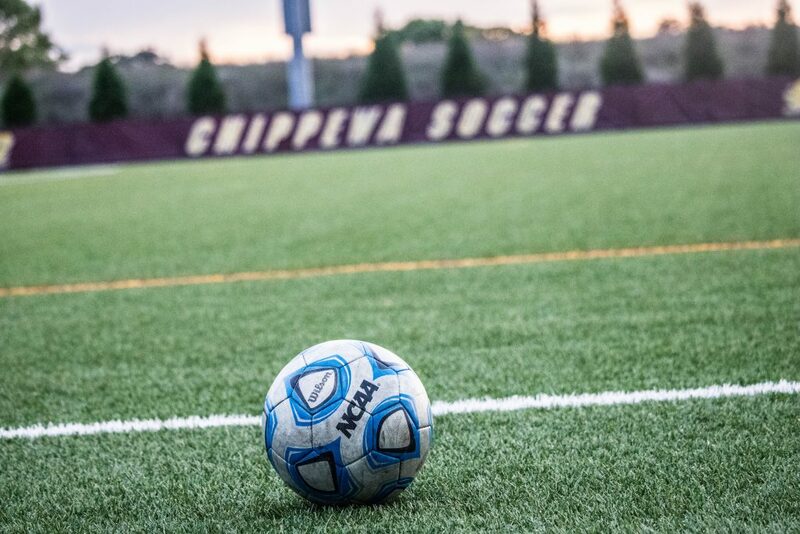 Each house at least one of the many sports that CMU participates in; such as basketball, volleyball, gymnastics, football, lacrosse, baseball and women’s soccer. However, there is one sport that is currently left out of the official listing— men’s soccer. Despite lackluster efforts to start an official men’s soccer team on the university’s end, students have found a way to continue indulging in the sport by creating their own club soccer team. Club soccer is comprised of roughly 23 men who play 10 games a season. Junior Issac Dieterle makes a play call during a soccer match. To set up games for the season, club teams have a once-a-year meeting with presidents from other school clubs at Purdue University. 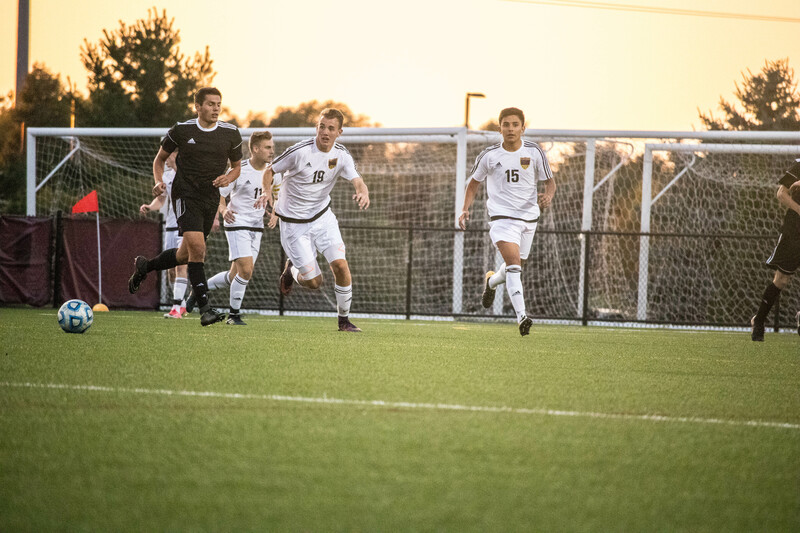 One member of the Men’s Club Soccer team is junior Isaac Dieterle. Senior Phil Aufdemberge takes a shot for a goal during a soccer match. 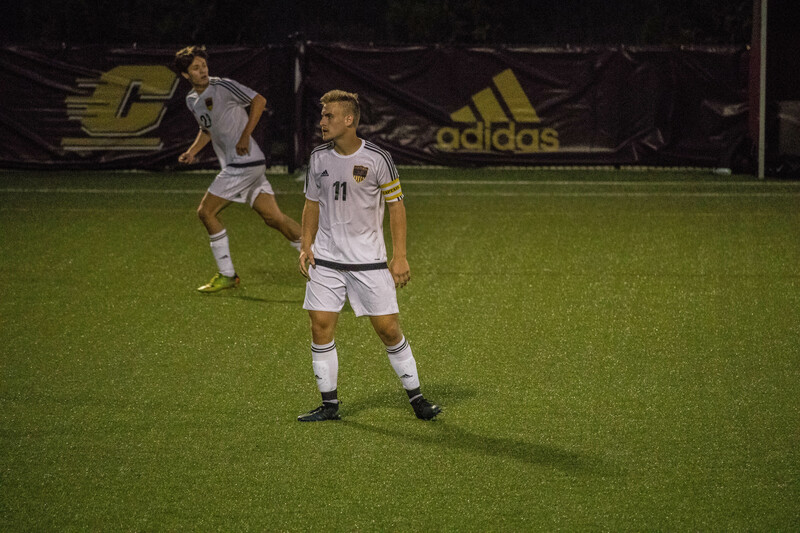 Dieterle is in his third season with the Men’s Club Soccer team as the Vice President and co-captain of the club. 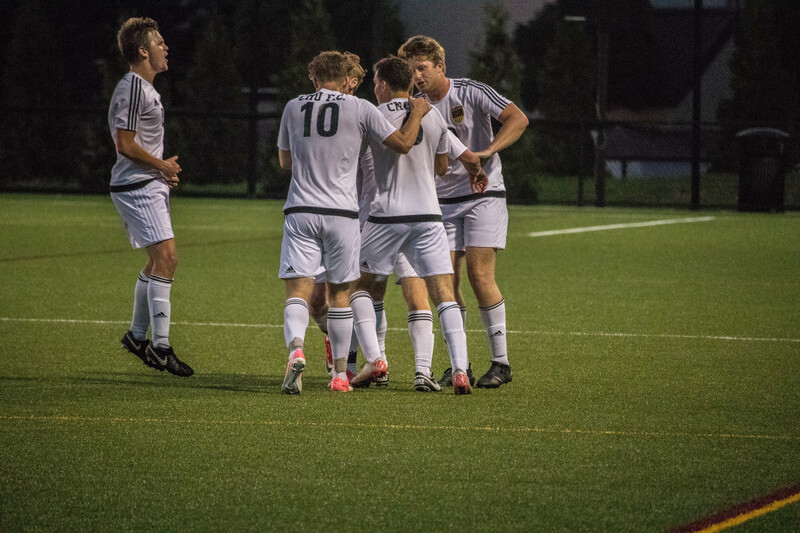 CMU FC celebrates after scoring a goal. 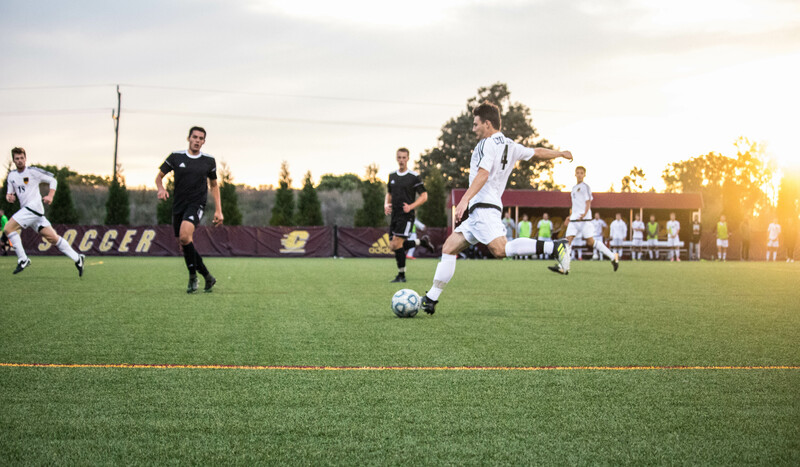 Unfortunately, the Men’s Soccer Club does not receive any sort of funding from CMU despite its constant outpour of money into other athletic programs. 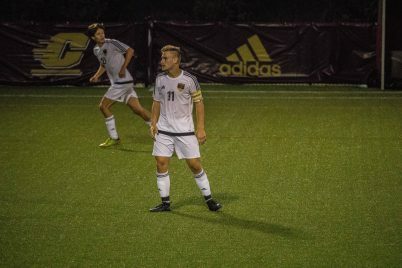 But the team’s coach, CMU alumnus Fede Vallazza, has worked hard to re-define the word “official” in regards to Men’s Cub Soccer. 11 Junior Isaac Dieterle, 19 Junior Jacob Alberts and 15 Freshman Misael Parra playing defense. The Men’s Club Soccer team is solely funded by its members. With that freedom, Vallazza says, the students within the organization have the ability to choose whatever they want the organization to be— but the University’s recreation department does reimburse the club a percentage of the expenses at the end of the season. Separator image Posted in Athletics, Food & Wellness, Food & Wellness, Healthy Living and tagged with club, Davaris Collier, men's, Soccer, sports.